I recently placed my first order from Shavt in Leuven (highly recommended!) and couldn’t wait to try out a bunch of new-to-me products that I saw there. 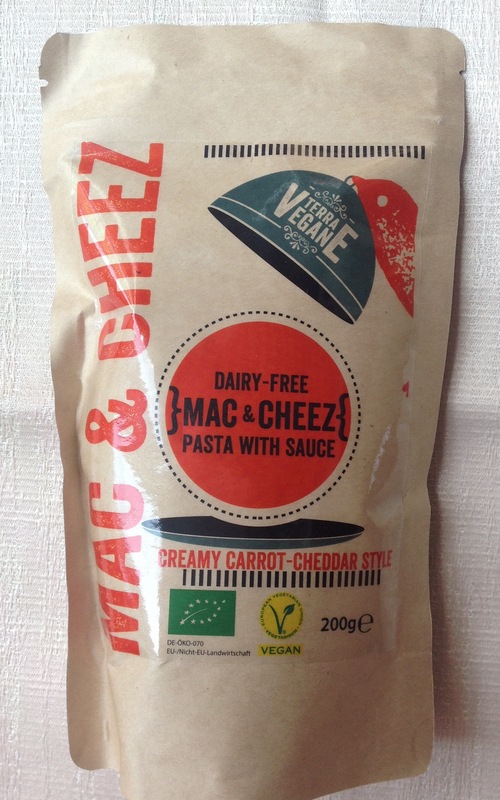 One of the ones I was most excited to try was this boxed (bagged) Mac & Cheez from Terra Vegane. I like making my own sometimes – I used a modified version of this recipe (warning: video) – but having grown up with Kraft Mac & Cheese, I have been on the hunt for a similar easy-peasy boxed M&C experience. So far I’ve only run across this brand at Shavt, but keep an eye out for it at other vegan specialty stores and possibly health-food stores.